How to make money with Facebook Groups whether you have a website or not. How about that? Last Episode 078 WOW! Elayna Fernandez, I found out later I was pronouncing her name wrong and she was too nice to tell me about it. I mean I’ve known her for ten years LOL I have to say her story is the most inspiring of anyone I’ve interviewed yet. She grew up beaten daily, in a dirt floor hut in a 3rd world country and is now one of the most respected mommy bloggers in the country. We are starting our monthly youth episodes where I highlight a young person doing great entrepreneurial things. Email me at orders@antion.com for details on how a young person can apply to be featured. Our first young person was Tiffani Hockings who is a young girl helping other young girls. Check out her episode. How to make money with Facebook Groups. This is one of the many ways you can earn on line without having a website. Having a website always gives you way more chances to increase your income, but you don’t have to to start earning. There are also many ways you can make money with a Facebook group both directly and indirectly. I’ll start with directly since that’s the main way I do it. Then I’ll get to some of the more indirect ways. When I get them into the group, I make a welcome posting tagging them so they see it. Other people in the group including my administrators which I’ll talk about shortly welcome them. The first post that’s pinned to the top (and I’ll also talk about pinning shortly) is the rules for the group. Our Entrepreneur community exists to help you become a better business owner. When a group of people get together it's important to keep some degree of order. You can ask for feedback on small portions of your promotional materials, but asking for feedback as a guise for self-promotion, at the moderator's discretion, will not be allowed. •	Discussion of illegal activity. Remember these are all the prohibited things. •	Content determined to be inappropriate, in poor taste, or otherwise contrary to the purposes of the group. Those are my guidelines which I undoubtedly borrowed from many other groups I’m in so feel free to grab whatever you want from them, but I encourage you to join similar groups to the one you want to start and look at their group rules. You can also make questions that new members must answer before being in the group, but I don’t bother with this. Their payment is enough to let them in, but that still doesn’t mean I won’t expel them if they violate any of the above rules. Ok. I talked about administrator’s and pinning. These are two somewhat unrelated topics, but I don’t want to forget to tell you about them. You can make anyone an admin to your group. I would be careful about this because you must trust them to uphold the purpose and rules of the group. 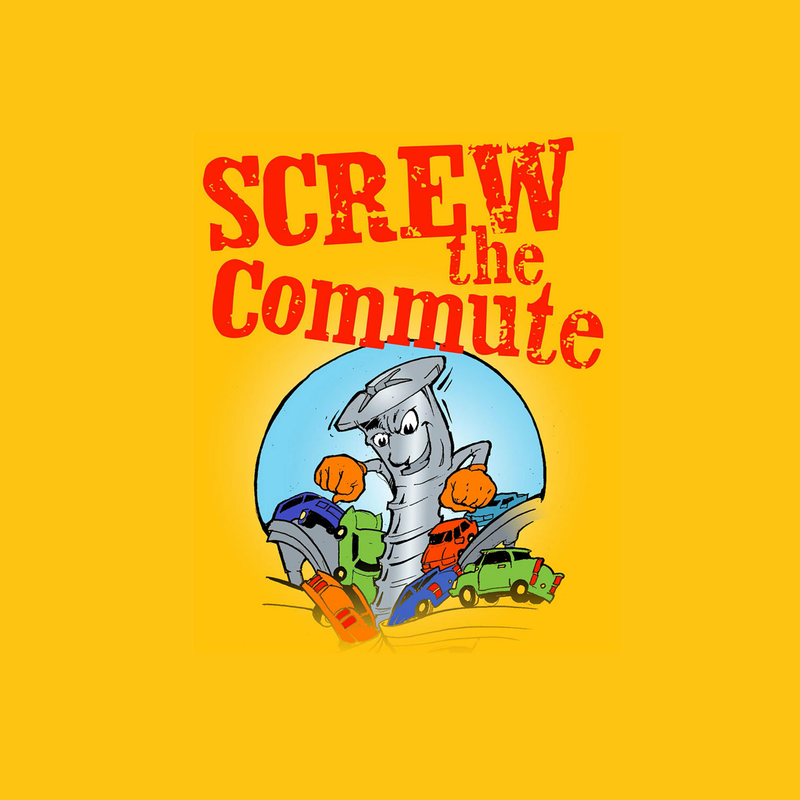 I have two of my employees as admins of Screw the Commute Private Facebook Group. They post content from time to time, they welcome new members, fix any glitches that happen on the site, run promotions, answer questions and handle whatever else comes up. They pretty much take a load off me when I can’t be in the group as often as I’d like. On to pinning. Pinning means you can make a post stick to the top of the page, i.e. it’s the first post. In my group that’s the one that says MUST READ FIRST and has a picture of me and one of my dogs. This is a good place to show your personality. You could do a video or post a picture. It’s up to you. This post gets people off to the right start and can reduce conflict when people see up front that you are serious about bad behavior. It also should talk about the benefits of being in the group so people are excited about being there. How to advertise your group. Now let’s talk about how to advertise your group to get people to sign up. Well, you saw one at the beginning of this podcast. I made the group a sponsor of the podcast so people constantly hear about how they can have access to me in a group setting for much cheaper than they can in my mentor program which is more money and a year-long program with unlimited one-on-one access to me and my entire staff and an immersion weekend at my retreat center. Some people aren’t serious enough to invest in the mentor program and some people that don’t know me just want to check me out first by joining the Facebook group. Anyway you can make your group a sponsor of your other programs. You can also write a salesletter for your group and put it on your website or blog if you have one and email or message a mini sales message or email or like a Facebook messenger message with a link in it to send your followers to the salesletter. Remember copywriting is the best skill I’ve ever developed in my entire business career. It’s covered in episode 13. We also have an inexpensive intro e-book on copywriting which we’ll put in the show notes along with my complete course which is more than ten times cheaper than any other course that probably isn’t as good. You find it at https://www.CopyWriting901.com We call that the fast track to writing words that sell. Here’s something that makes a lot of sense. You can make postings on Facebook, or paid ads on Facebook. The reason it makes a lot of sense is they are already active on Facebook to see your postings and ads and you don’t need a website for this. You can have affiliates promoting your group. It’s best if they are members so they can more enthusiastically promote the benefits of the group. You can have clickable graphics on your website or blog leading to your salesletter. You can write blog postings and articles about individual topics you cover in your group. Your ad for the group can either be at the end of the blog postings or some people have had success putting the ad in the middle of the posting. Your group could be on all your printed materials. Some people put it on their business card and others have an entire business card promoting their group. Pretty much any method you use to promote any of your products or services can be used to promote your group. If you’re not willing to invest in a complete shopping cart system, you can always start with PayPal. Having a shopping cart system, which I covered http://www.KickStartCart.com in episode 10, gives you a lot more avenues to increase your income with upsells and automatic selling using autoresponders. I also occasionally roll out a $1.00 trial leading to a monthly payment to give people a chance to check out the group. Again, you need a shopping cart system to do this effectively. Did I mention we use and promote http://www.KickStartCart.com and give unlimited one-on-one tutoring on how to use it to make the most money? Nobody gives that personalized service. Other ways to make money with “your” group. After that I’ll tell you how to make money with other people’s groups. •	Earn advertising and sponsorship revenue. If you have enough members you can get sponsors for your group or just sell ads. For those of you listening for the first time every Monday I do an in-depth training session and then Wednesdays and Friday’s I do interviews with successful entrepreneurs and there’s lots of good tips in those episodes. And then we just now started on Thursdays once a month at this point we feature a really successful youth. So that’s our schedule. •	Collect donations for running a free group. •	Do crowdfunding projects. I’ll cover that in episode 85 so make sure you watch for that. Crowdfunding is where lots of people contribute to your creative projects and you don’t have to pay the money back. Yes, I know it sounds too good to be true, but it’s real. Watch for episode 85 in a couple weeks. The flip side of that is you could simply offer to buy a group from someone and see if they are interested and negotiate a price. You never know when someone is sick of operating a group or doesn’t know how to monetize it. You have to watch out that all the members aren’t just in love with the leader because they might quit the group as soon as the leader leaves. As part of the deal you should make the leader introduce you and encourage everyone to stay. OK now let’s talk about making money with other people’s groups. First let me tell you about some of my students. I’m a total stickler for keyword research as evidenced by the first episode of this podcast. Keyword research is a critical element and the number one mistake people make when trying to be successful online. However occasionally I’ll get a student whose topic just doesn’t lend itself well to keyword research. It might be a topic that people don’t really put in their profiles so it’s hard to target them with paid ads on places like Facebook who knows more about you than you know about yourself. There’s always keywords for every topic and business but some just don’t lend themselves to those paid ads. An example would be recovering from a loss. Let’s say you had a product targeting people who have gone through breakups, divorces, or death of a loved one. Maybe even some people who have been close to someone that committed suicide. Those people don’t put those kinds of keywords in their profiles but frequently they do seek out support groups and others who have gone through or are going through the same kinds of issues. What I tell my students to do is use the same keywords in Facebook they would use if they were preparing their site for good Search Engine Optimization and do a search on Facebook. For one of my students I identified at least 30 groups comprising over 100,000 people who has self-identified themselves of being interested in her topic. Another student found 400,000 people. In most cases you couldn’t attract that many people to your website in years and millions of dollars in Search Engine Optimization work. These people are standing there telling you they are prospects for your products and services. Warning: You can’t just jump into these groups and start promoting yourself. Many group owners are protective of their group and will ban you in a hurry. There are time consuming ways to approach these groups that cost nothing and there are quick ways to approach if you have some bucks to invest. The no money approach is to join the groups and if appropriate introduce yourself. Some groups encourage that and some don’t. You need to read their community guidelines and also watch to see if lots of other people are introducing themselves. The key is, not to be an obnoxious self-promoter because you will most likely at best be ignored or at worst banned and kickout of the group. If that happens your name could be Mudd in front of thousands of people in your target market. You should make thoughtful comments in the groups, start non-promotional threads / postings in the group and people will click through to your profile to see who you are. This method costs nothing but time. Another no cost way is to offer some kind of perk for the members of the group. It could be an e-book, series of videos, e-course, online course of some kind of helpful freebie. It can’t be just an ad for your company. You approach the group owner and ask them if they would like to have it to give out to their group. If they accept, you give it to them and they make a posting or allow you to make a posting with the giveaway. For e-books they might have you give them a copy and they put it in the file section of the group. Some may allow you to make a posting where people can come to your site to get it. That’s the best way. Some may require that no opt in is required at your site and some may not care. So you can build your mailing list. At any rate this cost nothing and could distribute your stuff to tens of thousands of people. Of course, your contact info and a small percentage of advertising for your stuff could be included. If the owner of the group needs extra incentive to distribute your stuff, you could offer to make them an affiliate so they get a commission if anyone from his/her group buys something from you. Now if you have a budget, you could offer to pay the group owner to either put up a promotional posting on your behalf or allow you to do one. Part of the deal could be that it gets pinned to the top of the group for a week or whatever you negotiate. Also, if they do pin you to the top does your posting stay forever after the pin period or is it deleted or do you pay an ongoing fee. These are all negotiating points dependent on how bad you want to get in front of the group. Don’t expect all group owners to welcome paid deals. Some will be against any promotion whatsoever and will tell you to take a hike. However, any topic worth going after means you just say NEXT and go on to the next group. For large groups there is another way it’s possible to earn money. If it’s clearly a for profit group there is a possibility you could request a job as a community or group manager. This is certainly possible, but many groups have volunteers who would kill to have the prestige of being an admin. So, it might be hard initially to find such a group, and you might decide to do it for free to get in front of lots of people,but there are people like me who like paid people that have to do what I tell them in charge of my stuff. Many volunteers like the prestige, but flake on you when things need done in a timely fashion. So there is opportunity here. So, there’s a primer on making money with Facebook Groups. 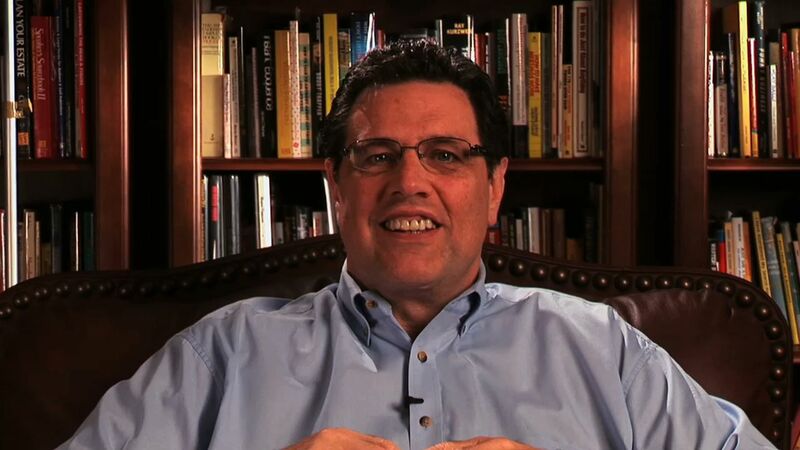 Now would be a good time for me to walk my talk and encourage you to join mine. Next episode 080 Jan McInnis. She chucked the corporate world because she wanted to be funny….and boy did it pay off.